For the 18/19 season, Tecnica is completely overhauling their Zero G line of touring boots. The new boots feature an entirely new shell, walk mode, and well, basically everything compared to the previous line of Zero G boots. The new boots are coming in at very low weights, with our pair of the stiffest Zero G boot in the lineup — the Zero G Tour Pro — weighing in at 1310 grams per boot (without stock insoles or detachable spoilers). That’s 1310 g on a boot that has a stated flex of 130 and 55° range of motion. And in case you aren’t entirely up on AT boots these days, you should know that that those numbers are pretty eye popping. 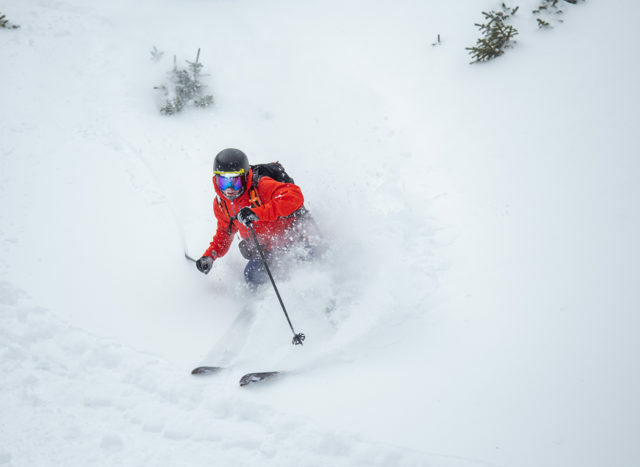 The Zero G Tour Pro’s weight puts it between the categories of ~1400-1500 gram, 130-flex touring boots designed for aggressive downhill skiing (e.g., Salomon S/Lab MTN & Atomic Hawx Ultra XTD 130) and lighter, more uphill-oriented boots like the Salomon S/Lab X-Alp, Dynafit TLT7, Atomic Backland Carbon, etc. In other words, if the Zero G Tour Pro really lives up to its specs, it would be carving out a new category of ~1300 gram, 130-flex touring boots. And Tecnica knows this. It’s worth highlighting here that the top-of-the-line Zero G Tour Pro boot is going to be available in sizes 22.5 to 31.0, so men or women with smaller feet who want a “130” flex touring boot should be able to find it in a size that works for them, without having to settle for a softer boot. Since the Zero G Tour Pro occupies a bit of a middle ground between most boots currently on the market, we’ve listed our measured weights for several boots on the lighter and heavier ends of the spectrum. Ok, yeah, that’s a lot of numbers. But it helps to put things into perspective. The new Zero G Pro Tour’s liner is being made by Tecnica rather than Paulau (which had been the case in the past). Tecnica claims the new liner fits much better out of the box since they can more easily integrate it into the shell. The “Ultralight-Light Fit” liner that comes with the Zero G Tour Pro (the same liner also comes with the Zero G Tour Scout) is thin, fully heat-moldable, and features a waterproof-breathable membrane. And skiers that like to lace up their liners while touring will be happy to know that all of the new Zero G boots include removable laces. At around 210 grams per liner, the Zero G Tour Pro’s liner is definitely on the lighter side compared to boots like the Salomon S/Lab MTN, and even the Atomic Hawx Ultra XTD’s light pre-production liner. But it’s not all that much lighter than the liner in the original Zero G Guide Pro. We’ll be saying more about the liner and making more comparisons in our full review. The one key difference with the Zero G boots is the addition of another connection point on the upper cuff. The walk mode on the new Zero G boots actually connects in two spots — near the bottom of the spine (similar to the Atomic boots) and then also higher on the spine (the greenish / yellow part of the mechanism shown in the photos), which is similar to the Ultra-Lock walk mode on many Dynafit boots. Tecnica claims this walk mode allows for increased rearward ROM and also decreases potential deformation of the shell in downhill mode. 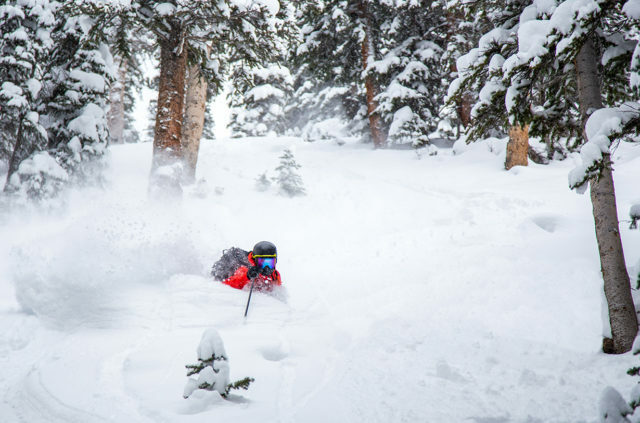 We’re eager to see if their claims prove true, and also to see if the walk mechanism poses any new issues (icing, etc) when it comes to reliable engagement while skiing and consistent disengagement while touring. The Zero G Tour Pro, Tour Scout, and Tour Scout W all incorporate a powerstrap with a simple aluminum hook that attaches to the other part of the strap, and it also has a piece of paracord that makes loosening the strap easier. We’re fans of cam-style powerstraps, and the Zero G Tour Pro’s powerstrap looks like it should perform fairly similarly, while being easier to attach / detach. The Zero G Tour 110 and Tour 105 boots come with more typical 35 mm Velcro powerstraps. All of the Zero G boots have rockered, non-replaceable Vibram rubber soles that are certified to the ISO 9523 standard, and will therefore work with MNC bindings like the Salomon / Atomic SHIFT, Marker I.D. bindings, or Tyrolia AAAttack 14 AT. The Zero G boots will also work with the Marker Kingpin and Fritschi Tecton. The previous Zero G boots used replaceable rubber soles. These soles were nice in that you could just buy new soles if yours wore out, but they didn’t walk as well as full-length, rockered rubber soles similar to those on the new Zero G boots. And furthermore, our position on this matter hasn’t changed: my feet are not your feet, so you ought to go try on any ski boots before you pull the trigger. But what I can say for now is that I can tour in a size 26.5 — without getting any boot work done — in the Zero G Tour Pro, Salomon S/Lab MTN, Salomon QST 130, Atomic Hawx Ultra XTD 130, HEAD Kore 1, and Fischer Ranger Free 130. And after my initial time in the Zero G Tour Pro, I don’t think I’ll need to do any punches. But if I was forced to say something now about the fit, I’d say that I generally get along well with tighter heel pockets, and in the case of the Zero G Tour Pro, I have plenty of room in the heel pocket — so far, it’s not so roomy to cause any blistering, but it’s definitely not so tight to cause any pain. But give me a minute to get some more time in these, and then check back for updates on fit. Luke Koppa: For reference, I have pretty average-volume feet, but I have large lateral splats which mean my midfoot widens when I am standing / skiing, and I often get pain on the outside of my forefoot and midfoot when running, skiing, skinning, etc. I have a low instep and an average to low arch. My feet tend to work best with boots that offer ample room in the midfoot, and have lower insteps (e.g., the Salomon QST Pro 130). Since my toes taper significantly (i.e., my pinkie toe is much shorter than my big toe), I’ve never needed a 6th toe punch in any boots. In the Zero G Tour Pro, I have plenty of room around my toes, ankle, and instep. The main problem area I have in the boot is on the outside of my midfoot, where I’ve experienced a pretty significant amount of pain after long days of touring. To be very clear, this is by no means limited to the Zero G Tour Pro. I typically get pain in that area in almost every boot I use, apart from the few 100mm-last boots I’ve been able to get punched out around the midfoot. So my main point is that the Zero G basically feels about average in the midfoot for a 99 mm last. Other than my typical issues around the midfoot, I haven’t had any trouble with the fit of the Zero G. It holds my ankle in well while touring, and my toes have stayed warm during all my days in the boot. Another notable feature of the Zero G boots is the inclusion of a boot board. This, combined with Tecnica’s “Custom Adaptive Shape” shell (which is supposed to be easier for bootfitters to punch / heat) and the heat-moldable liner should make the new Zero G boots a bit easier to fine-tune to different feet. 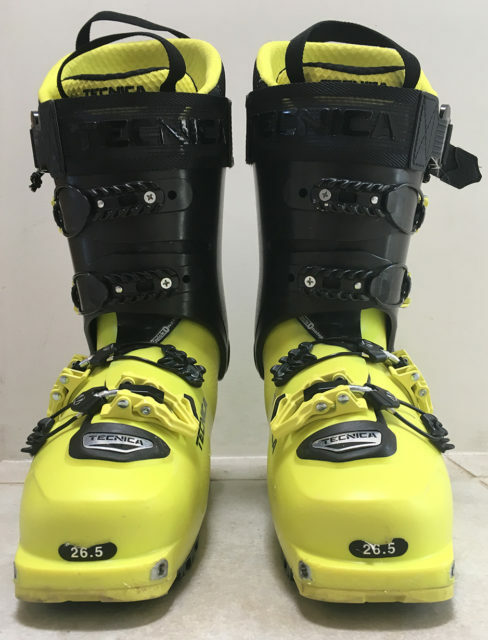 The new Tecnica Zero G boots look very interesting, and the Zero G Tour Pro in particular seems like it would, actually, be breaking some new ground if it can match the downhill performance of heavier boots like the Salomon S/Lab MTN and Atomic Hawx Ultra XTD while coming in at around 1300 grams. Blister members can now read our initial on-snow impressions in our Flash Review of the Zero G Tour Pro. 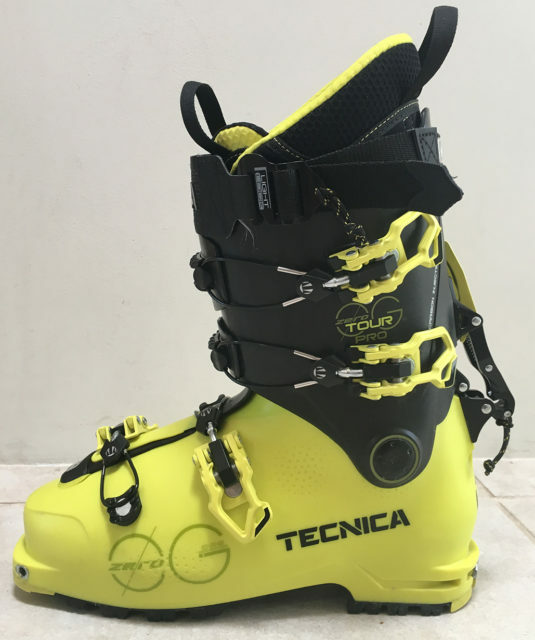 Tecnica announced that they had fully revamped their touring boot, the Zero G, and they were making some pretty lofty claims — 1320 grams per boot, 130 flex, and 55° range of motion. We also gave the Zero G Tour Pro a “Best Of” award in the guide, and said that if not for the Salomon / Atomic Shift MNC 13 binding, it would have been our product of the year. We’ve now spent even more time in the Zero G Tour Pro, so here we’re going into a whole lot more detail about why we think this boot is awesome, and what types of skiers should be checking it out. Luke Koppa: While stated range of motion (aka, ROM) is not always equal to the usable ROM, I think the Zero G Tour Pro’s stated ROM of 55° is pretty accurate. I didn’t break out any protractors on the skin track, but the Zero G Tour Pro provides ROM equal to, if not better than a bunch of boots I’ve used that have similar stated ROM. The Zero G Tour Pro doesn’t walk quite as well as lighter boots like the Salomon S/Lab X-Alp, but the difference isn’t extreme. I was perfectly comfortable using the Zero G Tour Pro for all of my tours, even long days with lots of vert. For how well it performs on the downhill (much more on that later), the Zero G Tour Pro walks very well. 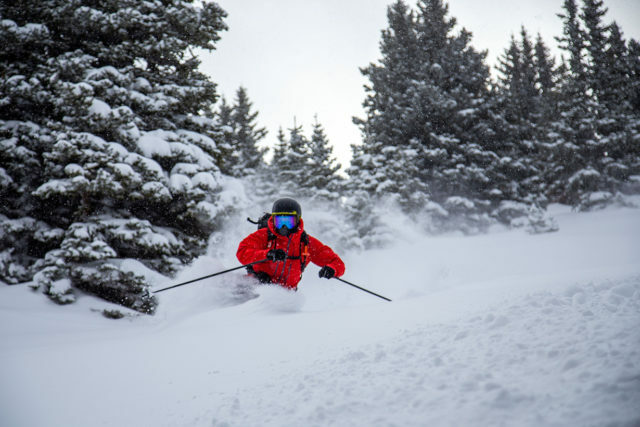 If you want maximum efficiency on the uphill — and are willing to make significant compromises on the downhill — then lighter boots may suit you better. But for the Zero G’s target market (downhill-oriented backcountry skiers), Jonathan and I both think it provides plenty of ROM. Luke: Overall, transitions in the Zero G Tour Pro are pretty easy. You have to deal with four buckles, a power strap, and a walk mechanism, but all of these are pretty simple on the Zero G.
The Zero G’s wire-style buckles are slightly more finicky to use than traditional hook / bar style latches (that you see on most alpine boots), but for me, it was an easy thing to get used to. I also really appreciate that the buckles on the Zero G’s cuff can be opened very wide, which means I can get plenty of ROM while the buckles’ wires are still latched onto the last notch. The Zero G Tour Pro’s power strap has a hook on one end that lets you easily detach the strap entirely. I rarely detached the power strap completely, and instead just loosened it up all the way (which is made easy with the paracord on the strap’s cam-style tightening device). The new Zero G boots use a burly walk mechanism that we’ve affectionately come to call the “prison shank.” This is very similar to the walk mechanisms on the Atomic Hawx Ultra XTD, Scott Cosmos III, and Scarpa Maestrale boots. The main difference with the Zero G is that it has an additional connection point on the cuff, but I haven’t noticed any downsides to this in terms of touring and transitions. The walk mode is still super easy to use, and a few quick whacks typically clear off any ice / snow that’s built up around it. It’s also very easy to tell when the boot is actually in ski mode, which is a plus. Jonathan: I don’t have much to add here since super fast transitions are not something I care too much about (once I’ve climbed up a mountain, I like to hang out for at least a few minutes before skiing back down). But with that said, there’s nothing that was tricky or annoying to me about transitioning in the Zero G.
Luke: I also spent several days “touring” in the Zero G Tour Pro this summer — if you’re willing to define “touring” as walking around in shorts and ski boots to ski for a few turns. The Zero G Tour Pro did provide ample grip while hiking on rocky and rooty trails, and while scrambling on talus. Luke Koppa in the Tecnica Zero G Tour Pro, St Mary's Glacier, CO.
I’ve used ski boots with grippier rubber, but for a boot like the Zero G Tour Pro, I’d rather have a more durable sole than the absolute stickiest rubber (more on durability later on). Luke (5’8”, 155 lbs): In short, the Zero G Tour Pro feels really, really good on the downhill. I have no qualms with its lateral power transfer (though I admittedly don’t often have issues with most boots’ lateral support). The Zero G Tour Pro’s rearward support also feels excellent, which I’d attribute to its burly walk mechanism. Luke: We’ve seen a huge increase in the number of “130” flex boots with walk modes, but their skiing performance can vary a lot. Some of these “130” boots are laughably soft, while others are extremely stiff but lack the progressive nature of a good alpine boot (i.e., they feel like leaning into a brick wall). With enough carbon, you can make anything stiff, but that quest for low weight and stiffness often results in an unpleasant flex pattern. I wouldn’t quite call the Zero G Tour Pro a true 130, but it is very close. And more importantly (for me), it’s flex pattern is really nice and progressive. I can easily lean into the boot initially, but as I flex it forward more, it stiffens up more and more. Now, I’m not a particularly big guy (I’m 5’8”, ~155 lbs), so much heavier and / or much more aggressive skiers might prefer having the stiffest touring boot out there. But I much prefer having a boot with a predictable, intuitive, progressive flex pattern over one that’s just really stiff. When I’m touring I’ll typically end up skiing a lot of weird, unpredictable snow. A boot with a more progressive flex makes skiing this sort of snow easier for me since I can actually flex into the boots initially to get over the front of my skis, but I’m not then going to flex through my boots and get thrown over the handlebars when I hit some weird crust or firm snow. Luke: The Zero G Tour Pro is a very light boot with a thin liner. As a result, it provides more on-snow feedback than most heavier alpine and AT boots. In other words, it doesn’t dampen out inconsistencies in the snow as well as those boots. That said, I was surprised by how comfortable I was skiing the Zero G Tour Pro inbounds while we were doing our Lightweight Touring Binding Shootout. While its liner is thin, it’s also pretty dense, and I didn’t really have an issue with the boot feeling too harsh (and I think its progressive flex helped with this). It wouldn’t be my top pick for a boot that I’d use inbounds very often, but it performed quite well during the occasional resort day. Luke Koppa in the Tecnica Zero G Tour Pro. 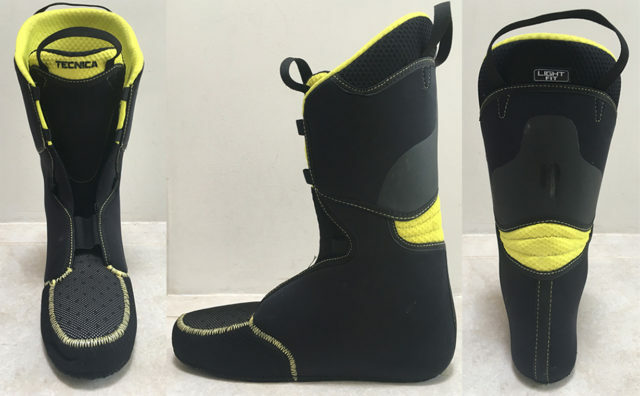 Jonathan: Just to offer a slightly different perspective here than Luke’s, I have no interest in leaving people with the impression that this is a boot that they should consider for 50/50 use inbounds and in the backcountry. Certainly, I expect to see more than a few pairs of these boots in the lift line this season, but I would be happy to have the vast majority of skiers think of this as a lightweight touring boot that offers surprisingly good downhill performance in the backcountry. But hey, if you ski with a lot of finesse, tend to go easy on your gear, keep it fairly mellow inbounds, etc., then have at it, I guess. Jonathan has used the Zero G Tour Pro for several days, and I’ve now used it for around 15 days [editor’s note: because Jonathan was dumb enough to let Luke take the boots with him after our final day of inbounds skiing last spring, and Luke has managed to avoid giving them back]. So after a fairly brief testing period (~20 days), we have no durability issues to report. The walk mechanism, buckles, and power strap are all still working perfectly. The soles have several small scratches and nicks, but there aren’t any notable chunks missing. As I noted above, I’m happy Tecnica decided to go with a fairly stiff, not-super-sticky rubber for the sole since it’s proven to be pretty durable so far. Luke: First, the important caveat: good fit is always going to trump minor performance differences when it comes to ski boots. I.e., just because you like the sound of the Zero G Tour Pro’s features and performance, doesn’t mean you’ll like it more than a similar boot in this class that fits your foot better. With that in mind, I think the Zero G Tour Pro (and the slightly heavier and softer Zero G Tour Scout and Zero G Tour) could work for a lot of skiers. The Zero G Tour Pro makes the most sense for people who value low weight and very good uphill performance, but who want a very supportive, yet still progressive flex on the downhill. 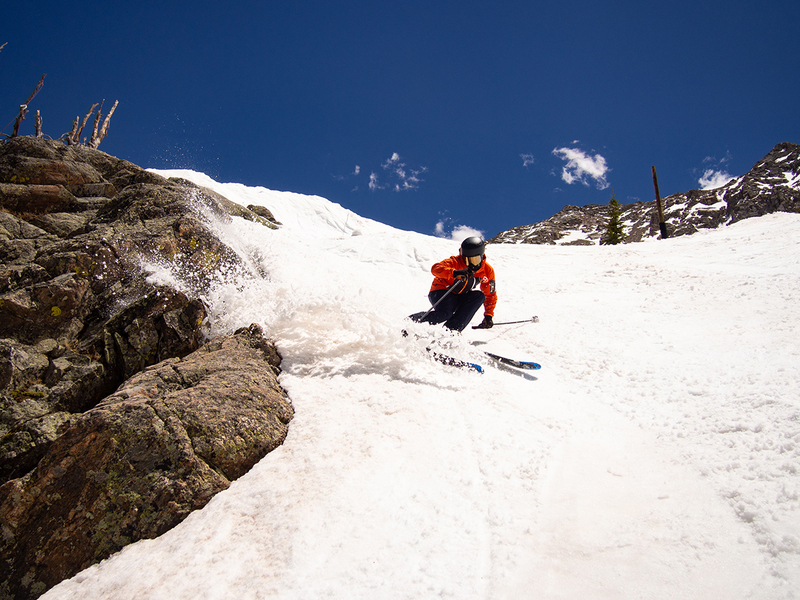 Luke Koppa in the Tecnica Zero G Tour Pro, Berthoud Pass, CO. 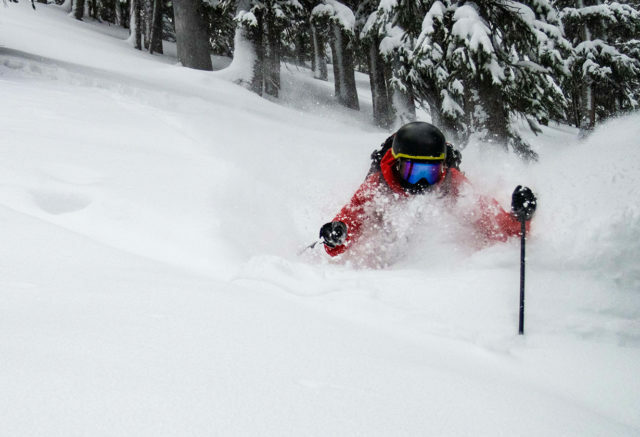 There are a lot of very good, ~1500 gram boots out there right now that tour and ski well. But since the Zero G Tour Pro comes in significantly lighter than a lot of those boots, I think it should be particularly appealing to those who tend to do longer tours and will appreciate that lower weight, but who aren’t willing to go to the much lighter (and softer) ~1000-1200 g boots. As I noted earlier, heavier (190 lbs +) and / or really aggressive skiers may want a stiffer boot. But I think that subsection is fairly small. 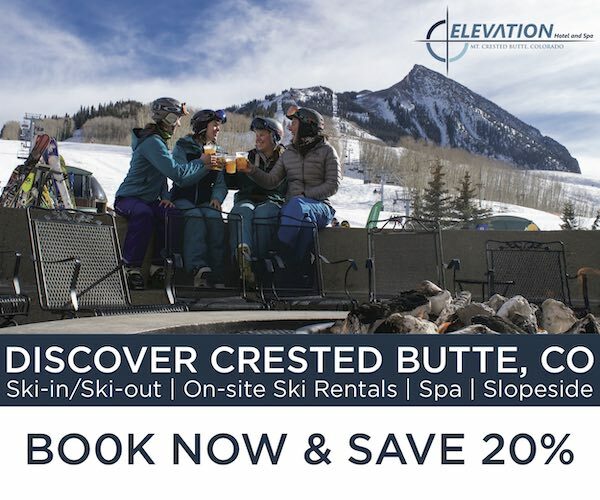 And if you don’t spend a lot of your time touring (e.g., you ski in the resort more often than in the backcountry), then you’d probably be better off with a heavier boot that provides a more plush, damp ride. But if you like to put in a lot of time on the skin track and wants a boot that still lets you ski very hard on the way down, go see if the Zero G Tour Pro fits your foot. Jonathan: Anyone who wants a really good touring boot — and who has feet that are a good match for the shell and liner of this boot. And again, I really hope this boot doesn’t start getting bought by people who will mostly use it inbounds, because there are a whole slew of good boots that I think are better suited for season after season of 50/50 use. 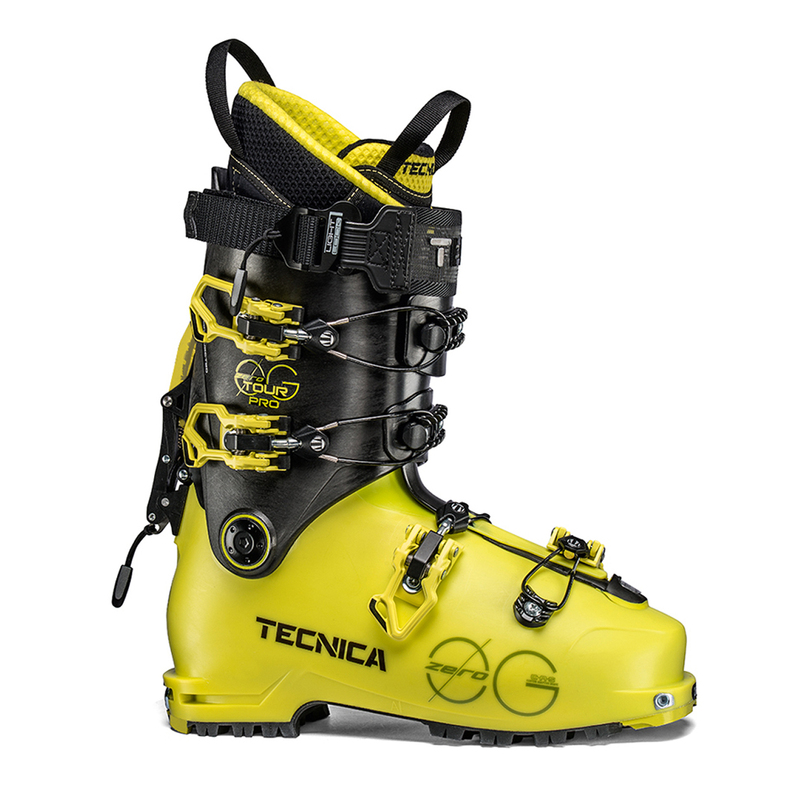 The Tecnica Zero G Tour Pro is a touring boot that weighs just over 1300 grams, walks really, really well, and it has a flex pattern that is not only nearly as stiff as a 130-flex alpine boot, but that’s also nice and progressive. That’s extremely impressive, and is why it’s my favorite touring boot I’ve ever used. Jonathan: I hope the upcoming custody battle that Luke and I are probably going to have over these boots doesn’t get too ugly. Next month, we will be publishing our head to head comparisons of the Tecnica Zero G Tour Pro, the (very good) Atomic Hawx Ultra XTD 130, Head Kore 1, Salomon S/Lab MTN, Scarpa Maestrale RS, Fischer Ranger Free 130, and a few other ~130-flex touring boots currently on the market. Any words on possible “In-stock” dates? 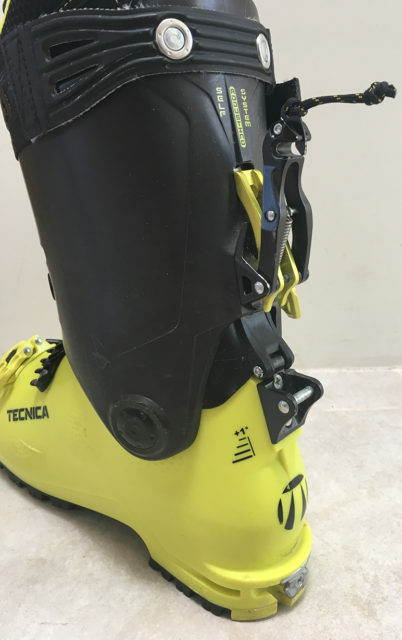 How close does Zero G Tour Pro ski to a much heavier hybrid boots, such as the Tecnica Cochise or the Hawx Ultra XTD 120? With the Scarpa F1 I already have a boot in the 1300g category (but don’t know if its is smart to drive a Bibby Tour with it*). 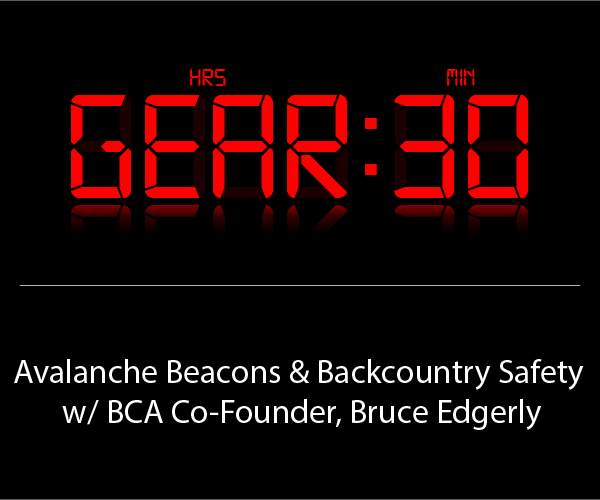 And I need to replace my 50/50 Resort/Backcountry boot. I feel I should go for a boot further away from the Scarpa F1, such as the Tecnica Cochise, Nordica Strider, Dalbello Lupo AX 120. 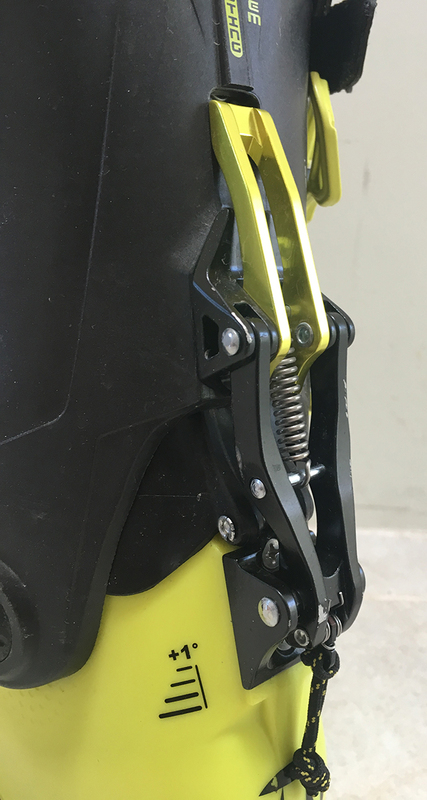 That was also made clear in the Podcast with the owner of the BlackSheep Shop in Munich, where he praised to go back to full blown alpin boots for freeriding (instead of hybird boots). *) I thought driving big skis with soft boots was a security risk. 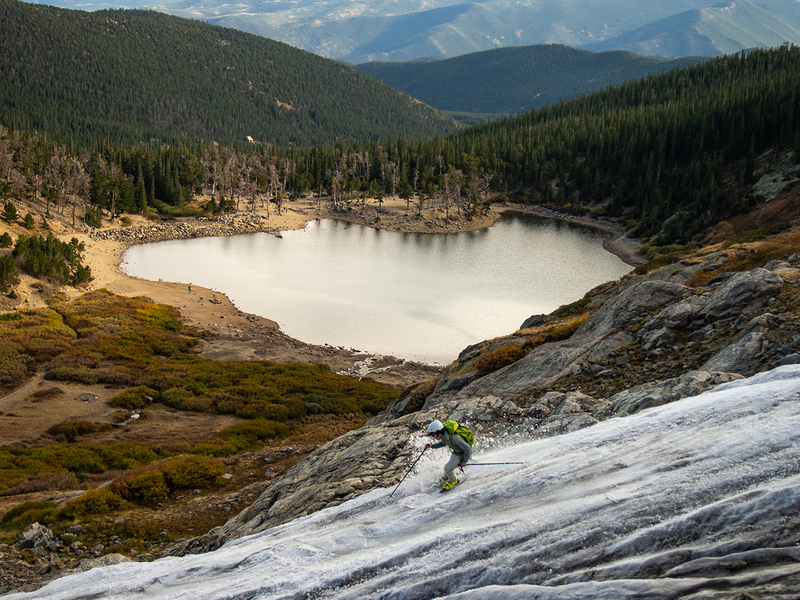 But in the Fischer Traverse review, Cy Whitling skied it 109 and 112 waist wide skis. How do these fit compared the Cochise? The 2017 Cochise fit me great, while shoes like the Salomon MTN and Maestrale don’t work for me. It’s interesting that you say both the later shoes fit you can these too, which makes me think that the fit is tigher and less roomy in the toe box and arch area. In your excellent review of the Hawx XTD 120 you pointed out the impact of the liner on downhill performance. How much difference would a zipfit alpine liner make in this boot? Would it come close to a boot like the Nordica Strider? Jonathan, I am glad you clarify that you would still not see the Zero G as a 50/50 boot. The flex feels very nice indeed (at shop temperature). Would you see the Hawx 120 XTD more like a 50/50 boot? More but, still far from it? I might go with the Salomon QST Pro (fits great, looks silly) or the Cochise if it fits. How is the fit compared to the old zeroG: does it have the same spacious ankle? or is it more tight? How are they to get the boot on and off? Embarrassing, but my Lange XT Freetour boots were really, really hard to get out of on cold days. If it was 0 degrees, I’d have to wait for them to warm up before I could get my foot out. Sometimes I would end up ripping out the liner or scraping up my foot…better not to talk about. I was not able to find a pair of Tour Pro’s in my size but have been riding Tour Scouts for 5 days. 40% BC 60% inbounds so far. 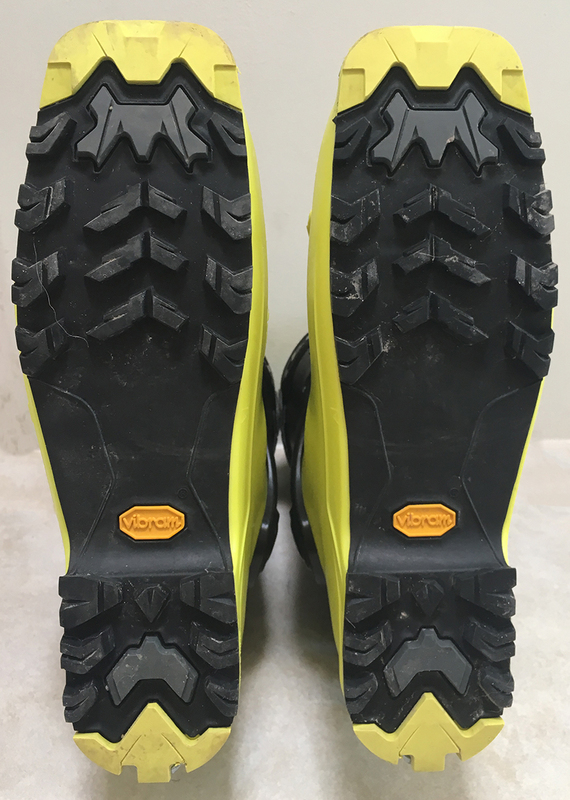 Touring/ Uphill: I am BLOWN AWAY with how well these uphill for a 4 buckle overlap boot. Today I did a tour with my Backland Carbon’s in the AM and then after lunch a quick lap with the Scouts (same skis and bindings, snow got warmer as the day went on). They feel almost as easy to uphill with as Backland Carbon’s with the tongue in (tongue out there is no beating the Backland until you get to race boots). I’d guess that double lock system letting them pull the back of the cuff way up is definitely a contributing factor. Really with how light and well the Scouts ski my Backlands are probably just going to become high milage/ fitness mission boots. Flex: Pretty f-ing impressive how progressive and supportive these boots are for being less than 1400g. Don’t have too many boots to compare them to in my personal experience but they are stiffer and more progressive than Dyanfit Titans and all the of BD boots (the last Factor was probably stiffer than the Scouts, but no progression). Never felt the hard stop (or sudden drop off) of other AT boots when inbounds driving Enforcers. Fit: The long and short of my fit is average to narrow everywhere except for my HIGH INSTEP. They aren’t the highest I’ve ever tried on but certainly high enough that once I cook the liners I’m sure I’ll be able to keep all my buckles tight all day at the resort. It almost seems like I might just be able to pack out the liners enough to not need. Forward Lean: Ok I’m really not a fan of the upright lean angle when they’re in regular downhill bindings. Looking to find a bolt on spoiler to try to get some more forward lean since I have a skinny lower leg. Entry/ Exit: Entry isn’t too bad, does help if it’s warm, easier than my old Titans or BD’s. But my instep does get pinched getting out of the boot :( Not surprised with how tall my instep is, might trim a little material off medial side of the overlap to help. Again, I wouldn’t put much weight in this as my instep is stupid tall. So these don’t fit a regular alpine binding like an Atomic Neox 412? Since you made a point of saying it goes down to a 22, can you guys confirm the bsl on the size 22 and 23 to ensure they’re not a larger shell just with a toe dam? The evo size chart only shows down to a 24 with 285 bsl. Just talked to Tecnica about this — it looks like they’re actually only offering it down to a 22.5 (their previous catalog had said 22.0), and the 22.5 does have the same BSL as the 23.5, which is 272 mm. Skied these boots 2 days (no touring) in spring conditions in the french alps. They weigh 1380grams in size 27,5. Very very to ski! In fact I was really surprised even though I had done some serious research before buying them. Nice flex pattern (I ski dalbello boots otherwise) I skied völkl mantra and a blizzard Rustler 10 in heavy wet spring snow, slash, moguls and horribIe frozen snow. I weigh about 100kg with gear. I like them much better than my salomon mtn lab. There is no doubt in ny mind that they will tour much better aswell. I have wide feet (fore foot 106mm) and I needed to heat mold both liner and shell and add padding to pressure points in the store. After that; two full days of skiing without any problems. Really comfortable! Without this bootfit it would have been impossible though. I plan to pair these with a mantra v werks and a shift bindning for a kit to do it ALL. I skied in very nice weather so can’t tell you about cold weather performance. I have skied 50+ days on the Scout, both involving lifts and over 25000m of ascent. Great boots, but watch out for the ski/walk mode. At different times I have lost a screw attaching the top of the mechanism to the boot on each boot. And this after nipping them up after loosing the first. It causes the boot to pop out of downhill mode at inconvenient times.